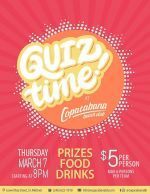 Copacabana presents its monthly Quiz Night. 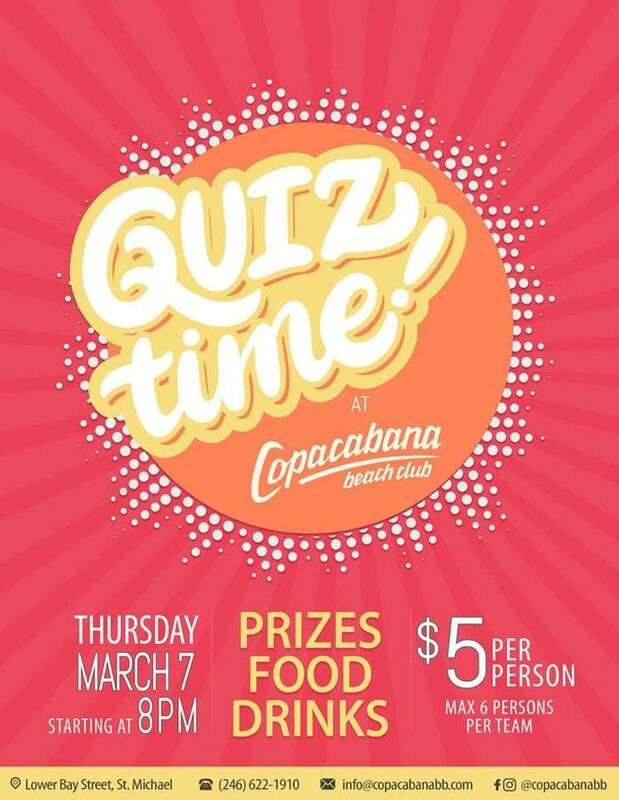 Prizes to be won - Copa Cash and Day passes and other special prizes. A special prize sponsored by The Cirque Studio will be up for grabs for the bonus of the night. The Cirque Studio offers an exciting way to exercise. Using arial silks, you will be taught to perform strength-building techniques with grace. You'll challenge muscles you didn't even know you had. Entry Fee: Bds $5.00 per person. Max. 6 persons per team.